Visitors to New Orleans during the Holiday Season may want to sample an old Crescent City tradition that dates back to the early 19th century. It is called a Reveillon (REV-ee-on) Dinner and here is the story behind it. In French, New Orleans’ original language, the word “reveillon” means “awakening.” The Creoles, some of the city’s earliest inhabitants, celebrated the start of Christmas in the early 1800s, with a big family meal when they returned home from midnight mass. Two o’clock in the morning may be an odd time to start a feast consisting of chicken and oyster gumbo, game pies, soups, souffles, lavish desserts, brandy and coffee, but this is how it was done back then. It was a tradition the Creoles inherited from their European cousins as a way of breaking the daylong religious fast leading up to Christmas Eve. By the 1940s, the Reveillon tradition, which had been slowly fading out over succeeding generations, all but disappeared. However, it was revived in the 1990s – with modifications reflecting the times – and has been increasing in popularity ever since. Among those modifications, the emphasis on the Reveillon tradition shifted from family dinners at home to the tables of the city’s top-tier restaurants. 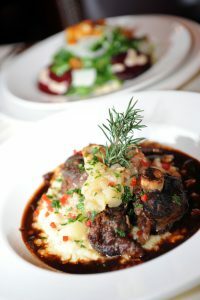 Also, the meals are offered at more conventional dining times during the day, instead of in the wee hours of the morning. 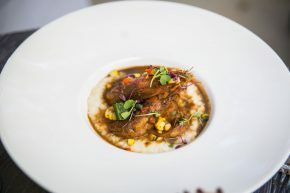 Today dozens of New Orleans restaurants offer Reveillon Dinners with menus inspired by those enjoyed by the Creole families who began the tradition. 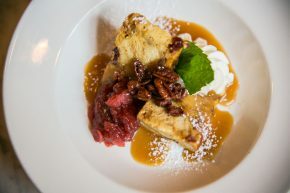 As might be expected, the participating restaurants have added their own little twists to their menus, featuring their house specialties and other delectable examples of their culinary creativity. 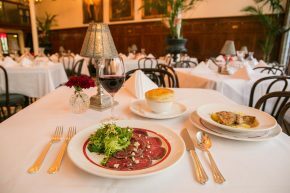 The Reveillon tradition is most commonly enjoyed by local families and/or friends gathered around a large table in an old French Quarter restaurant or reserving one of the small private dining rooms they offer. 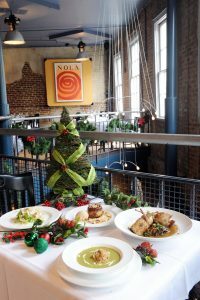 However, couples or families visiting New Orleans during the holidays can also savor the same memorable Reveillon Dinner experiences at restaurants all over town. 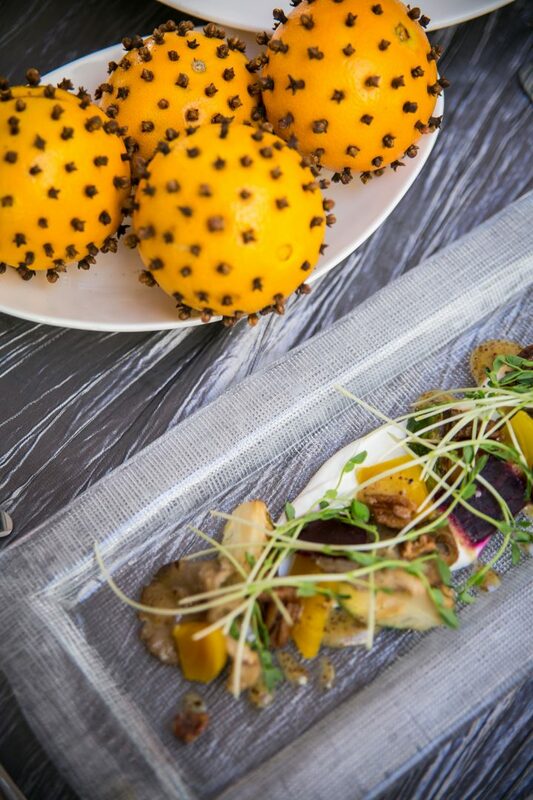 It’s the next best thing to having a big, festive holiday gathering at home. The feelings of togetherness and good cheer, coupled with the memories of all that great New Orleans food, will stick to the palate of your memory forever. Reveillon Dinners menus and specials typically begin following Thanksgiving Day. Make sure to reach out to individual restaurants for participation dates and offers.